More often than not, when your computer becomes infected by a virus or another type of malware, you will need a specialized tool to remove it. Such is the case of the “30th day” virus and if your PC is already infected by it, you can rely on Cracklock to remove it. 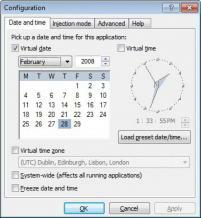 During setup, Cracklock provides the option to integrate into Windows Explorer’s context menu, as well as to add the app to the PATH environment variable. The “30th day virus” infects specific apps and prevents them from being accessed after used for 30 days. Crachlock lets you select the infected executable file to regain access.